Bleach 651 explains the curse behind Nanao Ise’s and family curse whereby any man who marries into their family are struck by a disease, similar to what happened to Nanao’s father, Shunsui’s older brother. 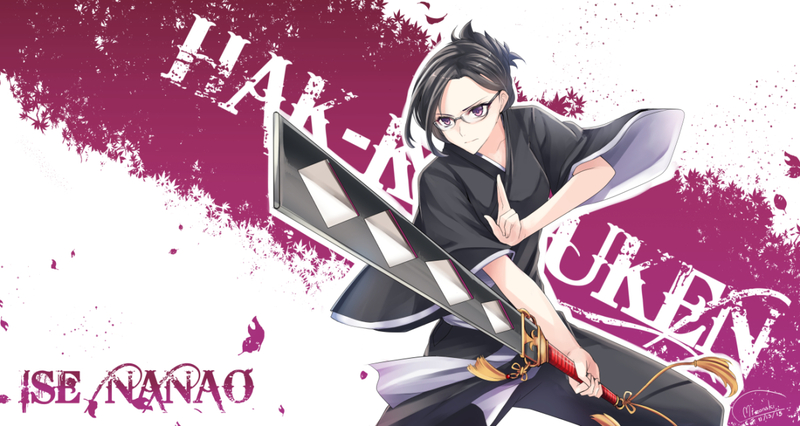 On top of which, Nanao’s family owns a particular Zanpakuto which allows them to deal with God’s, she comes out to fight against Lille Barro. 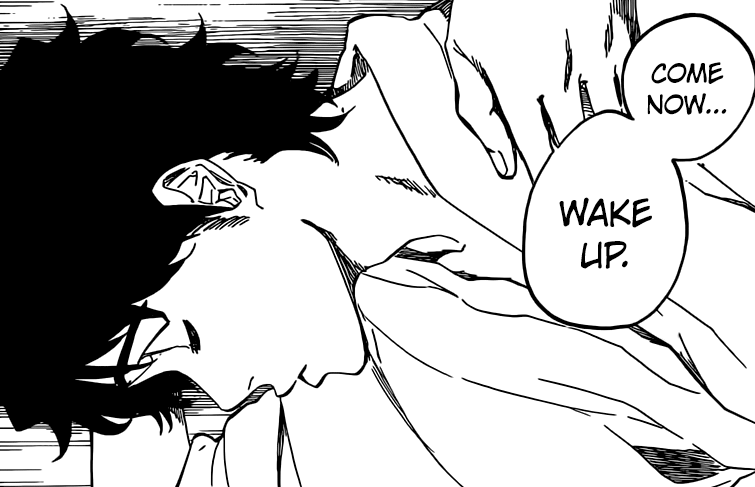 Bleach 651 begins as someone calls out of a young Shunsui who is sleeping to wake up. The woman who wakes him up is Nanao’s mother. Lille looks on as he tries to figure out where they have gone when he see’s that they’re within his own shadow, thus he uses a technique which lights everything and erases all shadows from the ground, however Nanao appears from the shadow on his face carrying some sort of object. Before this happens we see Shunsui and Nanao talk about Katenkyoukotsu that it has the possibility of splitting into Katen and Kyoukotsu. Thus Kyoukotsu is her own Zanpakuto. It’s mentioned that Katen (Flower) gave birth to Kyoukotsu (Lunatic). This was done at Nanao mother’s command. Shunsui explains that the House of ISe is and always has been a lineage of females, as far back as their records go, only woman have been born to it. That is why they always have to search for husbands from outside the family, those men who marry into the family are all said to be stricken with the Curse of Ise and thus die early. Those are of course many people who think the curse is nonsense, but her mother didn’t think that way. She wanted to sever herself from this curse and was prepared to end the Ise bloodline by leaving the family and marrying outside. But ultimately her husband also passed away soon after. 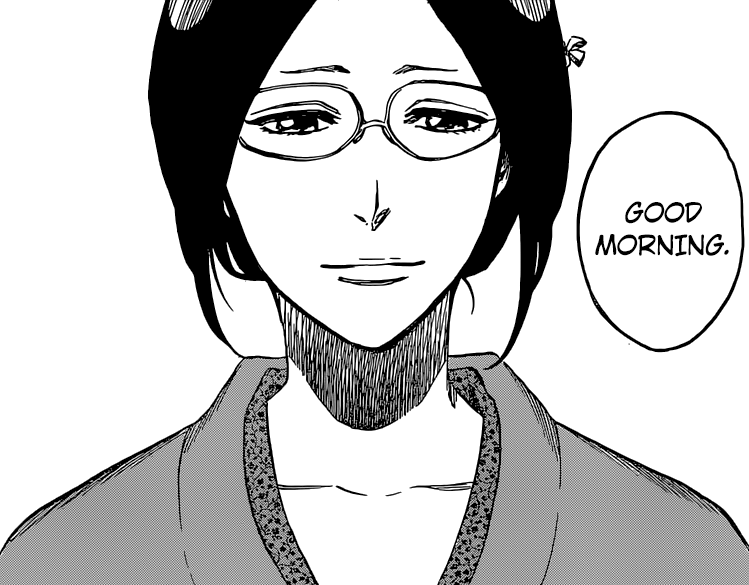 She was Shunsui’s older brother’s wife, or Nanao’s mother. His brother and him didn’t get along that well, but after he was married, he would visit his brother’s home which was a home of serenity and comfort, he found himself visiting and sleeping there very often. But then his own brother died. It’s said that when the man dies, the wife will have to return to the original house, the house of Ise. It seems that even after trying to throw it all away, couldn’t escape from it. Nanao’s mother mentions that ever she couldn’t escape from the curse of Ise, maybe the root of all of that is the sword she holds. She was desperate to free her daughter from the curse, thus she entrusted the Lunatic who loved Hide and Seek could find a place to conceal its whereabouts. But the sword is brought out when Lunatic pulls it out from her face. Nanao and Lille are up next for the battle as Nanao is well aware about the sword. Nanao and Shunsui talk about the sword as they both hold it. She mentions that his desire to not give her the sword was for her own sake, just as it is was her mothers will to turn against the curse, she has her own will, to embrace the curse and further more, the person she looks up to would just look at the entire situation and laugh, calling curses nothing more than superstition. 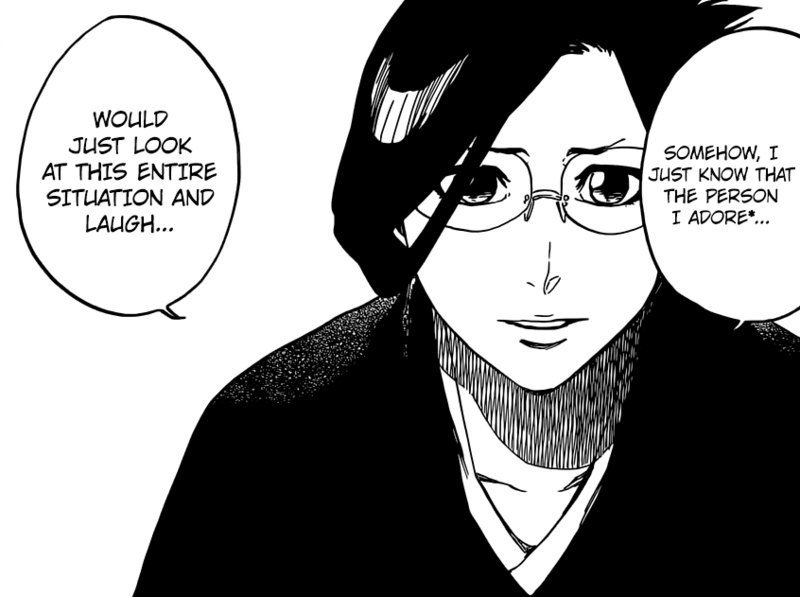 All while Shunsui see’s Nanao mother’s face instead of Nanao. Shunsui let’s go of the sword as he gives it to her, as he mentions that with such a sword, she won’t have a problem. Nanao steps back from Lille as he mentions that it seems that the vice-captain seems to have come out to play. Nanao’s lineage is explained to be Shinto Priests carrying out and governing rituals and rites, they don’t individually possess Zanpakuto’s, but the Head of the House inherits the single Zanpakuto, the sword was used in rituals, it cannot strike a person down. Rather it was made to face off against Gods. To take the power of a God into its own body and disperse it off into the Eight Directions. It goes by the name of Shinken Hakkyouken! It’s finally time for Shunsui to relax a little as his vice-captain takes over for a little while as she uses its power to negate and defeat Lille, will she be able to do it? Let’s see as Bleach 651 ends here. A pretty awesome chapter, Shunsui is going to have to relax for a little while Nanao takes over from now on with such a weird Zanpakuto against a God, Lille Barro. 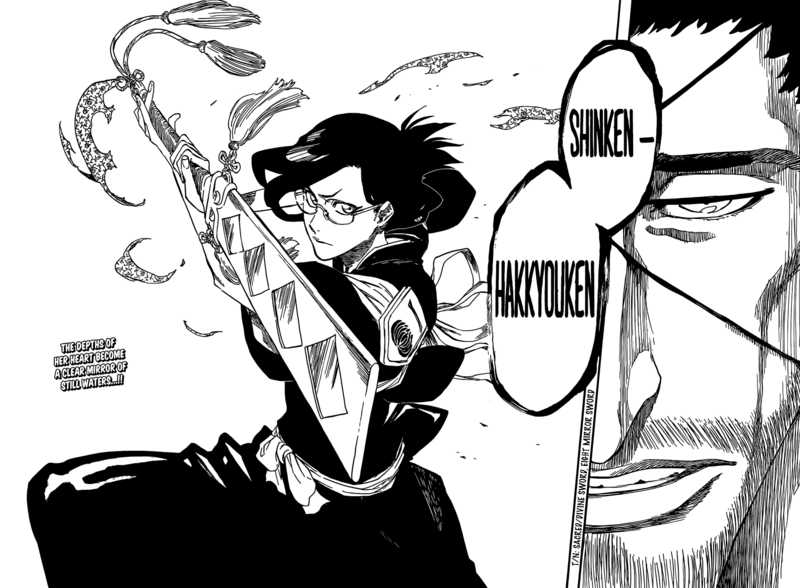 can’t wait for next week’s Bleach 652 as we see the true power of Nanao’s real Zanpakuto. Nanao ex-machina on it’s way! Yup I can’t wait. While it’s crazy her Shikai doesn’t hurt regular opponents, but those on a celestial plane like Lille, Pernida, Yhwach, and Aizen. Its a curse for a reason so something is going to happen to her. Wait I’m confused did Shunsui have it but never use it, then give it to Nano to fight with it. Yup (I think), it’s technically not his Zanpakuto, so I guess he couldn’t use it. Zaraki stole his zanpakuto but unlocked his Shikai. Guess Ichigo or someone will use nano’s sword to kill Yhwach. Basically, the Ise family has a Zanpakuto with no soul or connection to anybody other than doing rituals. Will still need to find out why her mother didn’t want her to use the Zanpakuto. So Shunsui’s Zanpakuto, Katen Kyokotsu, or Ohana, created Okyou to hide the Zanpakuto And Represent it. So now Nanao has her own Zanpakuto Shinken Hakkyouken. But I still believe she needs help from Shunsui to take down Lille. That’s basically what it is. With Zaraki, the sword he stole didn’t have a name, so he basically just had a regular Zanpakuto to in print his soul into. Kaname was different. His friend was a Shinigami whne her husband killed her. Her Zanpakuto was Suzumushi. But because Kaname’s soul and beliefs were similar to hers, he was able to take Suzumushi has his Zanpakuto. Nanao’s family had a sword but no soul at all. Okyou is her Zanpakuto spirit, and now she has a Shikai. But I believe she’ll need Shunsui’s Bankai to finish Lille Off or get Bankai. I completely agree. Katen Kyokotsu is his Zanpakuto. He just has one Zanpakuto spirit, not two. The little girl is actually Shinken Hakkyouken. I’m wondering if it has a Bankai. Ya that makes more sense because that sword turned Zanpakuto doesn’t have a spirit but now it does. 😬 you’re a week ahead. I don’t wanna read this post because of spoilers (I only read it through WSJ now) but I’m very much looking forward to this chapter. Lol. Hah I think just from images and title itself, this might be a bit of a spoiler. If you want some really good translations and good series which are up to date, I recommend mangastream.com. They are really good. Although might not always be official. Well it looks like Nanao is not a melee type of shinigami so i expected her sword to not have any particularly offensive abilities so this revelation of her sealing abilities is not too far fetchedbin my opinion. But still all this time she could have used it against aizen if she had the chance to use it only if kyoraku had used bankai and revealed her sword to her earlier. Kubo may have kyoraku assist nanao while she somehow figures out how to seal the supposed greatest creation of the quincy king and man closest to god. I dont think this battle is going to last no later than chapter 655. I think the next battle deals with gerald so that by chapter 666 grimmjow makes his return. Bleach probably will end around 700 chapters if it continues like this unless there is another Turn Back The Pendulum arc. 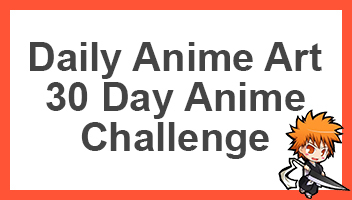 Trust me, Bleach is not ending in 700 chapters my friend. Kubo still needs to show us at least two more flashbacks. The first blood war from 1000 years ago, and the Quincy Massacre 200 years ago. Nanao’s Zanpakuto can actually hurt Aizen and Yhwach sense they are Gods. Especially Yhwach. Lille isn’t really a god, he’s more of a celestial being like Pernida, whose part of the left arm. Or Ichigo, a being that has all the spiritual beings in his soul. Or Orihime, who has the powers of a celestial being. The Soul King is the true god, despite being evil according to Yhwach. Ichibei is definitely a celestial being with his unique powers. I personally believe Grimmjow is going to be the measuring stick for how powerful Askin is. Its usually Chad, but for once is not. Zaraki was the measuring stick for Pernida, and i believe Oetsu was for Lille. I can see Renji and maybe Rukia being measuring sticks for Gerard. He really did foreshadow some things on the Zanpakuto Rebellion arc. With Shunsui, when he fought Katen Kyokotsu, the little girl used Kageoni To Appear behind him. That technique wasn’t official utility he eventually defeated Starrk. In a way, Unohana’s Zanpakuto was somewhat foreshadowed. Minazuki was the most unique and unknown Zanpakuto spirit. It kinda told us that their is more to Unohana than we think. Basically meaning, she’s the first Kenpachi. When is Bleach manga’s next break?